Skoda Auto India is back in SUV car segment battle to give tough competition other companies. On October 3rd 2013 the company has launched the most awaited model the new version of the Skoda Octavia . The company launched the legend back because Octavia was the first model that brand Skoda brand in India. The price range of Skoda Octavia 2013, starts at 13.95 lakh for petrol variant, while the top end model 2.0 TDI Diesel vehicle costing Rs 19.45 lakh ( Delhi ex-show room price. When compared with the old version the new Skoda Octavia is more spacious, with elegant design, innovative safety , high functionality, comfort systems, high fuel economy and much more features that shows Skoda as a better car manufacturer. 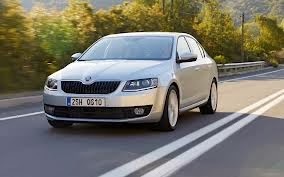 All New Variants of New Skoda Octavia 2013 comes with features like powered mirror adjustment, 16-inch alloy wheels, ABS, power windows, traction control, dual front air bags, steering adjustment, driver seat adjustment, rear air-con vents and remote locking and much more other things. 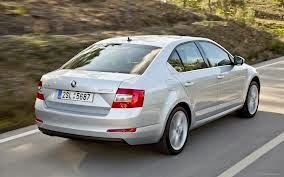 New Skoda Octavia's top variants 2.0 TDI and 1.8 TSI will be available in automatic transmission. Top second variant 2.0 TDI and 1.4 TSI will be available in both manual and automatic versions .